The mentor was a renowned coach who had adopted the approach of differentiating between the existing waterfall and Agile. In a nutshell, it was an eye-opening session! Cincinnati is a city in US state of Ohio. It’s the fastest growing economy in the Midwestern United states, which makes it one of the most important cities around. The city is a home to several fortune 500 companies that are involved in information technology and innovations. Being a home to diverse and talented population it is important for young aspirants to pursue course like CSD certification in Cincinnati to be on par with the technological advancement. CSD training in Cincinnati is five day intensive workshop led by expert trainers who have successfully catered to a wide array of organizations and individuals across the world. The coaching helps one understand the scrum principles and grasp the agile engineering skills right from the basic fundamentals to more complex strategies. All five days of the course will be effectively utilized to train you about the scrum roles, principles and artifacts. Interactive discussion on behavior driven development and BBD takes place to understand things better. 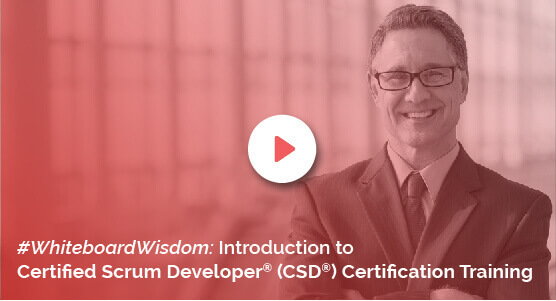 CSD course in Cincinnati helps you earn the certified scrum developer credential which will optimize your professional CV by manifolds. Achieving the Certified Scrum Developer training in Cincinnati will also help fill gaps that one might have in scrum knowledge. By the end of the certification, your mindset will change in a manner that supports the agile mindset through and through. Enrolling for the Certified Srcum Developer certification in Cincinnati by Knowledgehut, Is very easy as the registration process can be carried out online. At a very fair cost KnowledgeHut provides the best in class study materials and practice sessions for you to get the best out of the course.